Congratulations on becoming a Certified Spinning® Instructor! 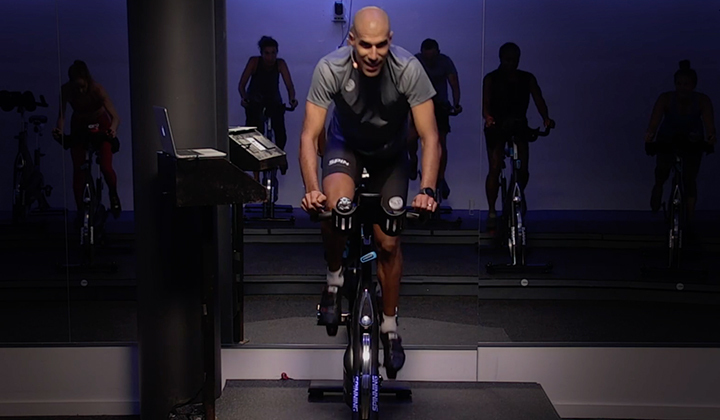 If you are one of the thousands of fitness professionals who have earned your certification through our live or online training, you now have all of the tools you need to create and lead exhilarating and effective indoor cycling classes. With your Spinning certification, you have officially broken away from the pack and are ready to take the lead! But this begs the question: now what? 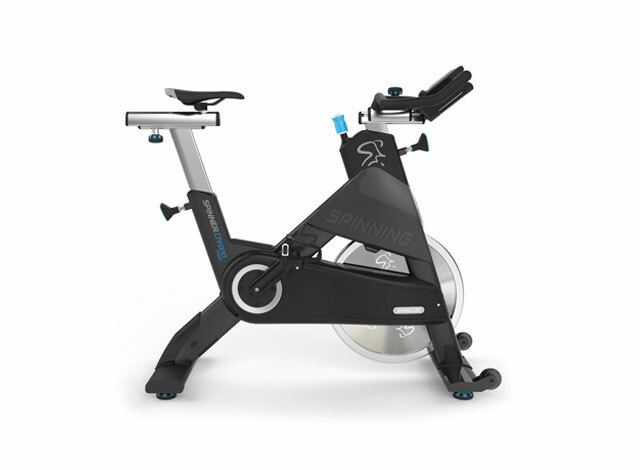 That inquiry comes up for every newly certified instructor in the Spinning program. 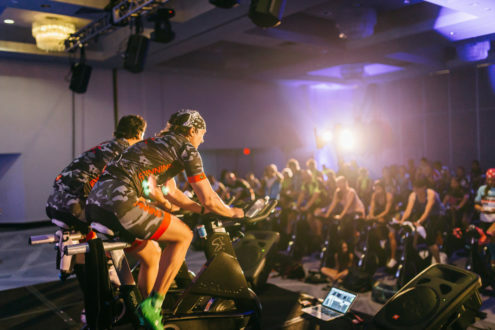 How do you get started as a leader in indoor cycling? And what should you do with your newfound teaching skills? Here are just a few tips to get you started on the next chapter of your fitness journey. Perhaps you already work as a personal trainer or group fitness instructor at your local facility, gym or studio. If so, you may already be familiar with your facility’s members and are now ready to lead them in Spinning classes. But if you are not currently employed as a Spinning instructor and looking to get started, the Spinning program is here to help. The Job Board offers dozens of new opportunities for Certified Spinning Instructors. Only Official Spinning Facilities are allowed to post jobs on the Job Board, so you can rest assured that these organizations follow the safe and proven parameters of the Spinning program. Use the location setting to find openings in your area. And of course, you can also do a general search for the facilities and studios in your area that are hiring. Most facilities and studios require an audition as part of the interview process. While every audition is different, we want to provide you with some basic tips and tricks for nailing your audition and landing the job.First, attend and evaluate the classes at the local facility to get a lay of the land. This is an ideal way to first evaluate the clientele at the studio, what their expectations are and what their needs might be. Also, don’t be afraid to ask questions! Ask the Hiring Manager or Group Fitness Manager what they are seeking in an instructor. Your curiosity will show how proactive you are in helping students improve their fitness.Second, it always pays to practice. If you can, gather a couple of friends or fellow students to experience an indoor cycling session with you. They can provide feedback on their experience and provide pointers that you can take into your audition. This feedback also enables you accept constructive criticism, which is a great way to demonstrate your professionalism and openness to learning. It’s also a good idea to video yourself leading a ride. This will enable you see and hear in what areas you excel, and what areas to improve.Finally, approach your audition with confidence. The process can be nerve-wracking, and it occasionally ends in rejection. But armed with a knowledge of the studio and the clientele, you should know exactly what to expect and how to wow the Hiring Manager. One way to improve your confidence is to prepare for every eventuality. What if your microphone goes wrong and you have to yell over the music? What if the music cuts out and you have to teach without your playlist? Will you be prepared if this happens in your audition, or in your own classes? If so, you should have the confidence to tackle anything that the audition throws your way. Good luck! Every Spinning instructor comes from a different walk of life. Some are already teaching indoor cycling classes at their local facility, while others are just getting started in a new workplace. We want to ensure that you are comfortable and prepared to continue your Spinning journey the right way. 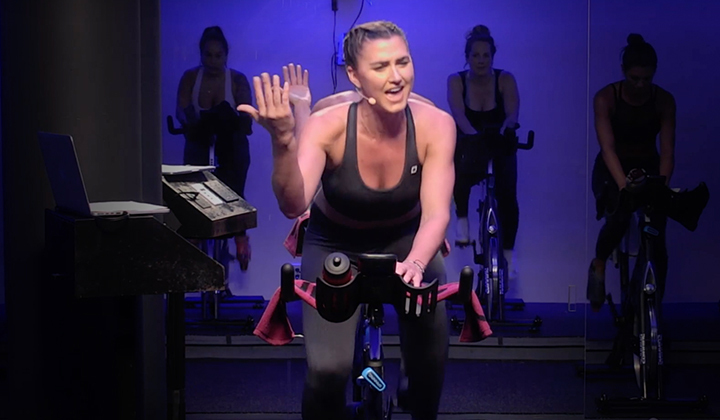 Here are some ways to adjust on your new path as an indoor cycling instructor and ingratiate yourself with new and existing clients. The fastest and easiest way to establish yourself at a new facility or studio is with co-teaching and team teaching with the facility’s experienced instructors. Not only will co-teaching give a better sense of your clients’ experiences, needs and expectations, but it will also enable you to collaborate and build rapport with your co-workers. You can feed off your fellow instructors’ energy and styles create an even better class experience. It’s also a great way to introduce yourself to new riders and engender their loyalty. 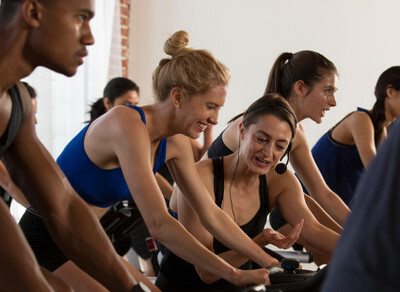 If class times and schedules do not permit co-teaching, you can always offer to substitute for other instructors’ Spinning classes. This is another incredible way to get to know your students and their needs. Since every class starts with your introduction and safety speech, take the opportunity to learn your students’ names and find out what they want out of each and every class. The care that you show your riders will help them stay on track to achieve their fitness goals, as well as develop relationships that last a lifetime.With those strategies in mind, it is also important to be patient. Leading best Spinning classes in your area won’t happen overnight, and it will take time to get to know your clients and members. So be patient, trust in your teaching and the program, and know that you will soon be developing life-changing rides when you enhances your skills and knowledge with Spinning education. As a newly certified instructor, you have earned 14 SPIN® continuing education credits (CECs). These are good to keep your certification active for the next two years. But how do you stand out among other group fitness instructors? The answer to that question lies in Spinning’s incredible education offerings. For the last 25 years, the Spinning program has developed continuing education designed to turn great instructors into even better leaders. From coaching skills to sophisticated training offerings, our courses cover every subject matter to give you the freedom to choose the right path in your fitness journey.Live Spinning workshops and online courses are the most popular ways to earn your 14 SPIN CECs every two years. You can connect with fellow instructors or your local Master Instructor at a live workshop, or earn CECs on your schedule from the comfort of your home with our online courses. These workshops and courses also provide CECs and CEUs with leading fitness organizations like ACE, NASM and AFAA.In addition, the Spinning Instructor Pathway gives you another great way to set yourself apart from the pack. 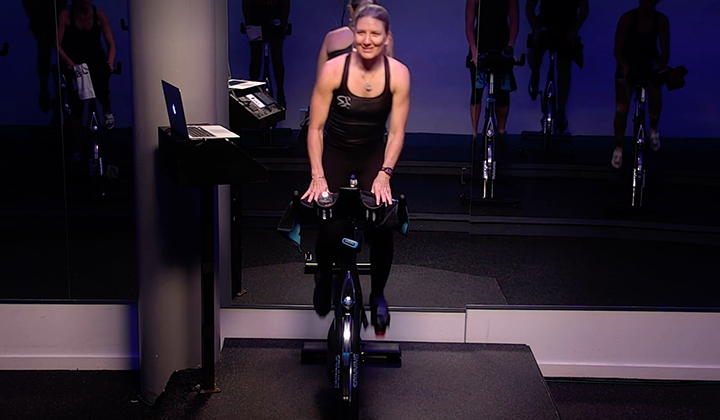 The three certification courses that are part of the Spinning Instructor Pathway give you the 14 SPIN CECs you need to keep your certification active for the next two years. They are also available both live and online, so you have options when it comes to enhancing your skills and advancing your career. You can also set yourself apart from other group fitness instructors with SPIN® Membership, the program that offers you even more chances to lead amazing classes. With SPIN Membership, you get a free online course worth up to 5 CECs, meaning that you’re already a third of the way toward maintaining your certification. You also receive a $30 credit on any item in the store at Spinning.com. And finally, take advantage of the host of discounts at Spinning.com, including 15% off all bikes, 20% off cycling shoes, and 20% off all fitness trackers and computers.We wish you the best of luck in your Spinning journey and are here to support you in the next phase of your career. We are with you every step of the way!